A pair of California lawmakers want to know why paperwork required to finalize veterans' disability claims ended up in a Los Angeles shredding bin. The latest embarrassing episode for the Veterans Affairs Department comes alongside questions surrounding 240,000 deceased veterans on agency medical waiting lists and worries from Ssenators that physician credentialing problems in Arizona may stop cancer treatments for veterans there. 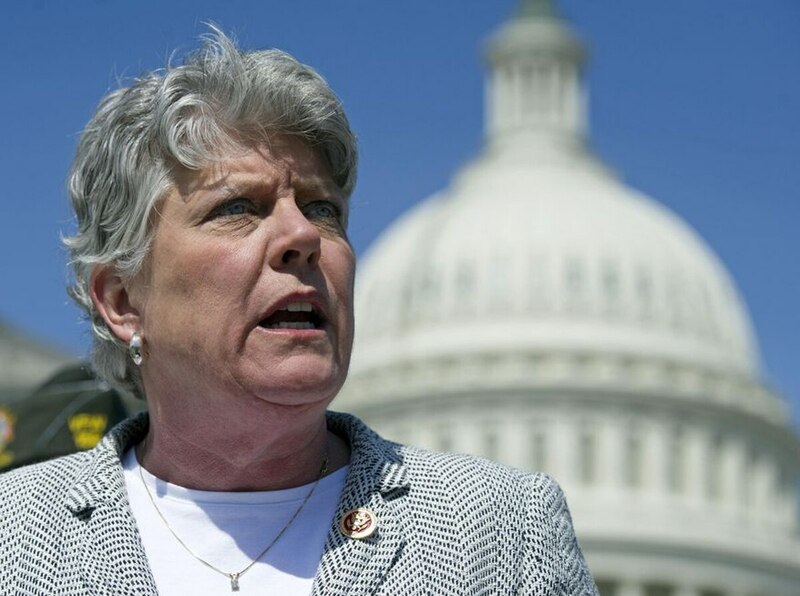 Staffers for Rep. Julia Brownley, D-Calif., said officials from the VA's Inspector General's Office confirmed they found key pieces of paperwork from veterans' claims files "inappropriately placed in shred bins" at the department's Los Angeles Regional Office. VA officials said only 10 files were misplaced in the bins, and the items would have been subject to additional review before being destroyed. They downplayed the problem as a one-time mistake from a small number of workers, not "malicious intent." Full details of the findings won't be released for several more weeks, and the exact number of cases affected has not yet been released by the VA Inspector General's Office. But Brownley and Rep. Raul Ruiz, D-Calif., have called for hearings and an immediate review of how the regional office handles documents. "Such misconduct could have a devastating impact on the affected veterans and their families, resulting in the loss of critical information and adversely affecting the adjudication of veteran claims," the two lawmakers wrote in a letter to VA Secretary Bob McDonald. "Simply put, this is unacceptable." Seven years ago, after similar allegations of improper document shredding hit the department, the Inspector General recommended a host of new controls to ensure critical paperwork was not being lost in the system. Brownley and Ruiz questioned whether those suggestions have been properly implemented and whether new rules are needed. VA officials insist these particular problems were corrected back in the spring, and added that all relevant personnel in the regional office have been retrained. Loss of paperwork has long been a problem in the VA claims and medical processes, with veterans advocates recommending that individuals keep multiple copies of all critical paperwork because of commonplace loss within agency offices. VA leaders in recent years have placed extra emphasis on digitizing those records, in part to prevent that kind of loss. The lawmakers did not say how many veterans may have been affected by the latest problem. The regional office handles claims for more than 700,000 veterans in California. The VA Inspector General also is expected to issue a second report in August discussing leadership and training problems at the Los Angeles office. VA officials in recent weeks have touted a dramatic drop in the disability claims backlog since it peaked at more than 600,000 cases in March 2013. As of this week, the total stands at less than 125,000 cases. But outside critics have questioned whether that decline is the result of better processing or careless handling of pending requests. House Veterans Affairs Committee officials said this week that they are looking into hearings on the issue of veterans who died while waiting for determinations on whether they were eligible for VA health care, and the timeliness of department record-keeping. VA officials have said they cannot delete the names from their lists, even though some are decades old, due to existing regulations. On Wednesday, Sen. John McCain, R-Ariz., also asked Congress and the VA to look into the cancer credentialing problem, saying at least 20 patients may have their care halted this month because of recent rule changes.